I got my start in the Wind Energy industry in the 70s where I bought my first computer – a Textronics 4051– and later my Osborne 1. An employee had bought the Osborne and showed me Supercalc. I was doing cash flow projections on gigantic 18 column green ledger sheets and an adding machine. A complete set of projections would take me days to complete. I saw Supercalc and made him sell me his Osborne on the spot. As North Wind Power Company grew I became more enamored of the technology we were using. We were faced with a dilemma, we had a couple of large government contracts and I has a choice of hiring more clerical staff (we were using Mag-card typewriters) or automating. I found that my employees produced useful work at the end of the day when I put a Mac on their desks but it took a week with a PC. I started buying used Macs for the office and soon friends and neighbors asked If I could get them one. It was time for a change so I made the move into becoming an Apple reseller. Well, I think the Osborne has to take the cake for game-changing but my favorite Mac is my current MacBook Air 13-inch. Small Dog Electronics is 21 years old and we have evolved. 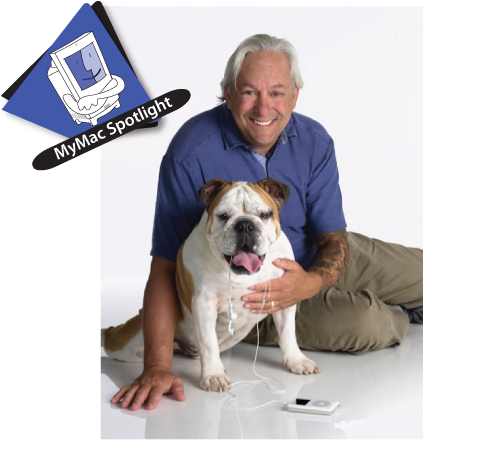 We started as primarily an on-line sales entity specializing in refurbished and used Macs. We pivoted to retail stores with my “clicks to bricks” strategy as we saw increased on-line competition and constrained refurb supply from Apple. We opened 5 retail stores and soon found our sales mix going from 80% on-line to 80% retail. With our Government and corporate sales division we now are about 50% retail. I was a paperboy as a kid. I’d get up really early in the AM and ride my bicycle to toss newspapers on the lawns of neighbors and again at night after school. My first real job after college was when I started North Wind Power Company in the 70s. Remember that the product is not the mission. Look into your future and decide early on what type of company you want to be because decisions you make early on will have a lasting impact. My mentor was my college professor and now close friend, architect, David Sellers. He encouraged me to follow my instincts and helped guide me. He became my partner in North Wind Power Company.